Let's talk about #MomWins in my opinion a #MomWin is something that either helps our lives as Mother's be easier! With saying this it can be a product or an idea! I'm excited to share with you #MomWin that every Mom who is carrying a diaper bag needs to know! I've had many diaper bags and I won't lie most of them I bought because they were either trendy and modern and my kind of style or I bought a diaper bag that wasn't really my style yet it had the essential needs to make my life easier! I never could find a diaper bag that provided the essentials and the modern look I was wanting so I just always settled for one or the other! Well that was until I found Greyfox & Company! 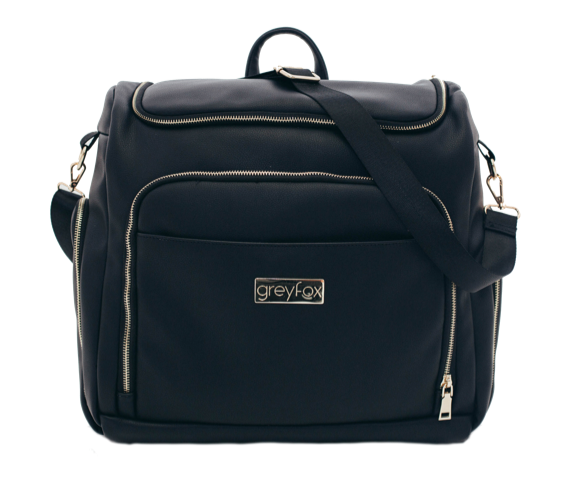 Greyfox diaper bags provide a modern diaper bag with many essentials that help us Moms get through our everyday lives! A diaper bag is one of the most important things we have as Mothers it literally carries our life around outside our house so why not have a diaper bag that allows you to do so in an organized modern way while also providing the essentials to make it through Motherhood?! 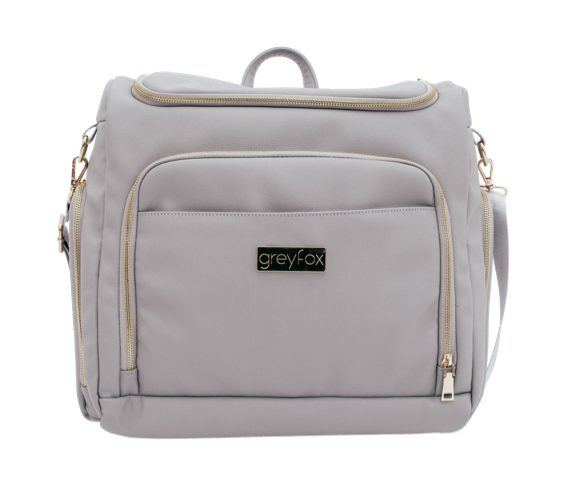 Greyfox diaper bag is made with premium materials and hardware which allows you as Mother to get your moneys worth out of this product and allows you to use it for several children and maybe even grandchildren! Greyfox is made with vegan leather and has luxury material making it the #MomWin of the century! It's not just cute but it's built to last and that's what we need a lasting diaper bag for our this crazy yet rewarding thing called Motherhood! Not only is Greyfox Company diaper bags built to last it also built to be easy! This diaper bag can easily go from a backpack to a shoulder bag in seconds and has struggle proof zippers that make it easy for packing and unpacking which is literally happening all the time and for me I'm usually in a hurry with only one hand available so these zippers are a life savor! This diaper bag isn't only easy it's also waterproof and is easy to clean which is very important because like I said this is basically our lives out side our homes and is our homes always clean? I better not be the only one saying No hahah! Yet just like our home we find hacks to keep it cleaned and organized and this diaper bag is our HACK for our home outside of home! They make it easy for us with by having a top pocket that allows easy access to your keys or cell phone. The main pocket is HUGE and has pockets made just for binkies and if your like me and lose everything these organized pockets are a must! Yet my all time favorite thing this diaper bag offers is not just one but two tinsulate-lined bottle side pockets that keep your drinks warm or cold! If you are reading this I hope you know I only share #MomWins that I believe will actually help and make us feel empowered as Mothers and Women! I truly believe this product will allow us to feel more organized and make our everyday lives as Mother's and Parents easier! Even the dad agree it's not just a #MomWin it's a parent win! Even non - Mom's want this diaper bag!